An inspirational networking event that hopes to help hundreds of 18-30 year olds kick-start their businesses returned to the capital last night. 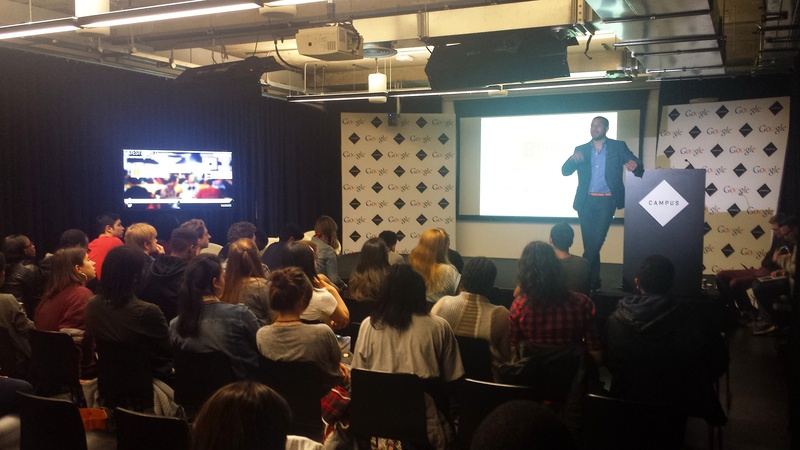 Hosted at Google Campus, the Think Bigga Launchpad for young entrepreneurs featured leading business organisations, such as the Facebook Small Business team and was attended by students from Ravensbourne College and The BRIT School who partnered with Bigga Business, the organisation behind the event. The event was an opportunity for young people to hear from global creative tech companies and successful business start-ups with the hopes of joining an increasing number of young start-ups in the capital. Bigga Business (www.biggabusiness.com) launched in 2013 and provides young entrepreneurs with business finance and guidance through a start up loan and mentoring scheme. It’s part of the Bigga Fish social enterprise that has addressed the lack of opportunities for inner-city youth across the UK since 1999. Exclusive networking events for the Alumni to generate more business and meet other entrepreneurs. Bigga Business is particularly focused on the ages 23-29 and ideally looking for either people who have existing businesses would want to get extra investment in to grow, or those with strong business ideas but don’t have access to finance. Repayment of the loan is structured at 6% per annum, which is the lowest on the market and a lower rate than student loans.